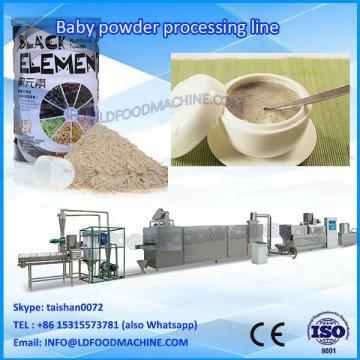 1.Description of Extruded Rice Powder Nutritional baby Food Processing machinery:Extruded Rice Powder Nutritional baby Food Processing machinery uses rice, corn, beans and all kinds of grains as raw materials. Through extruding, inflating, drying, crushing and mixing, it could produce many kinds of nutrition powder, such as baby rice powder, sesame paste, beans powder and so on. This line could finish all the process automatically from the feeding to the end. It has features of easy operation, no leak of powder dust, sanitation, Enerable-saving and adding all kinds of raw materials and nutriment easily. 3. 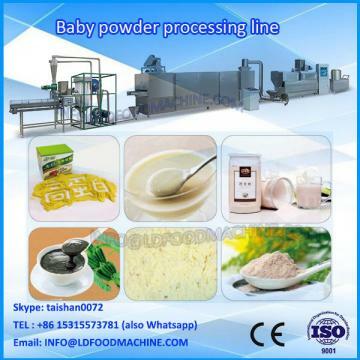 Products of Extruded Rice Powder Nutritional baby Food Processing machinery: baby Rice Powder, Sesame Paste, Beans Powder etc. 6. 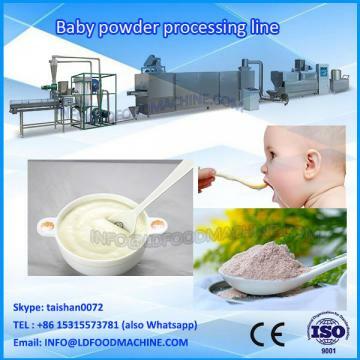 VoLDage: Three phases of Extruded Rice Powder Nutritional baby Food Processing machinery: 380V/50HZ, Single phase: 220V/50HZ, we can make it according to customers' local voLDage of different countries.